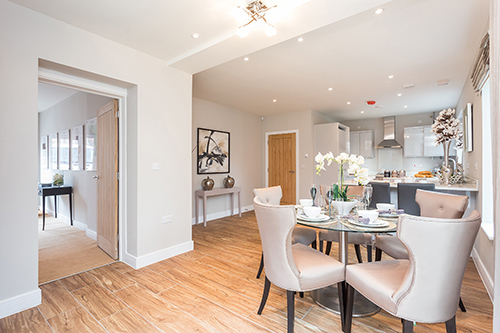 Brookmans Park in Hertfordshire, is one of Origin’s first entirely private sale schemes to date, which remains accessible for ftbs and families looking for extra space in a leafy, family-friendly environment, a short commute from central London. With an emphasis on quality and style, the forward-thinking housing association have decked out the four bedroom show home with only the highest quality finishes. Creating a truly aspirational environment for ftbs, Origin opted for a palette of neutral on-trend greys, layered with a host of tactile textures. Demand has been high for these exceptional properties and, despite difficult market conditions, at Brookmans, over 50% of the homes are now reserved, outselling similar developments in the area.